Lukan Mishev, MD, shares the case of a young patient one year after ammunition explosion trauma. PPV and extraction of IOFBs was performed. Initial suturing of the corneal wounds led to highly irregular cornea. 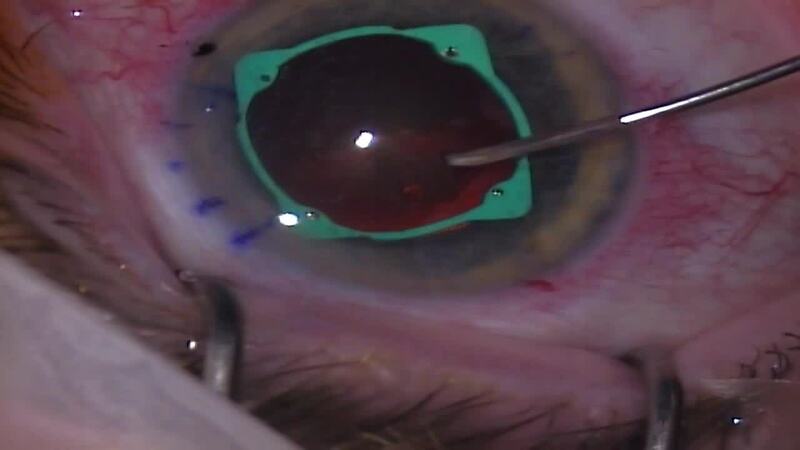 Corneal sutures were removed 6 months after the initial surgery and healing was observed for 3 more months. A 3-piece Alcon MA60 IOL was sclerally fixated with the Yamane technique and a Morcher Xtrafocus Pinhole IOL was implanted in sulcus in order to eliminate the corneal irregularities. Im right handed and it was more convenient for me to approach the trailing haptic first. Is there any particular reason to do the Yamane technique with the trailing Haptic first?